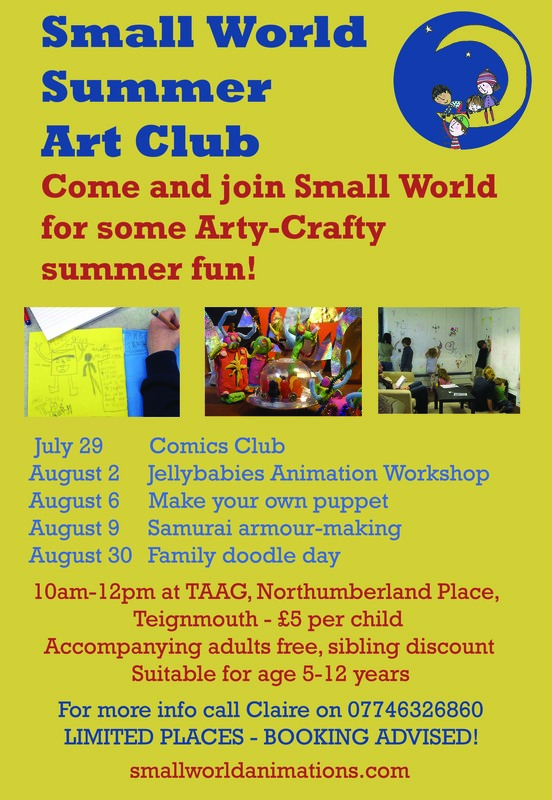 Small World Summer Art Club at TAAG! Wahoo! It’s nearly time for the summer holidays, and Small World is bringing you some cool arty activities to keep you amused 🙂 Ranging from animation and comics to puppetry and cardboard samurai-armour making, you should find something that makes you want to get creative! Get in touch to book and for more details.